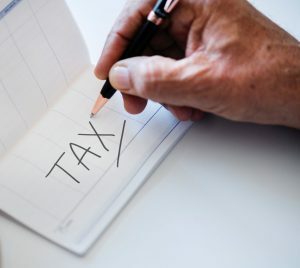 With tax season in full swing, the deadline approaching April 15th, California cannabis companies and growers are hauling in piles of cash to government offices to ensure their taxes are paid. However, neither those firms or government employees are keen on dealing with the archaic process of hand-counting dollars. Yet as our California cannabis business attorneys can explain, these tax woes are indicative of the long-standing and much bigger problem: Marijuana businesses can’t access banking. Despite the fact that now 10 states plus the District of Columbia have marijuana legal for recreational purposes (1 in 4 Americans lives in a state where recreational use is legal), the federal Controlled Substances Act that still designates marijuana as a Schedule I narcotic means banks are reticent to get involved. Doing so could risk the U.S. Department of Justice coming after them for money laundering. Recently, The Modesto Bee reported the U.S. House of Representatives intends to hold hearings on bills that, if passed, could allow marijuana companies easier access to banking services – some six years after states started legalizing the plant for recreational use. It’s not the first time the issue has been raised, but it had always stalled in the past with Republicans being the Congressional majority – even when, as recently as 2017, the House bill had 95 bipartisan co-sponsors and a sister measure in the Senate had 20. Lawmakers from Colorado and Washington are sponsoring a new marijuana banking bill that cannabis lawyers in Los Angeles know could help these companies – and government workers – avoid the risk of carrying around large cash stashes that may make them vulnerable to criminal targeting. As it now stands, the California Tax and Fee Administration already has to expend substantial resources to carefully plan for cannabis company tax payment drop-offs. In Humbolt County, where a large number of marijuana growers operate, the tax collector’s office has invested in numerous cash-counting machines, which so far have helped to processed some $10.3 million in marijuana tax revenue. Statewide, officials collected nearly $230 million in tax revenue from the marijuana industry in the first nine months of last year. Little less than half of that was reportedly submitted via cash payment. In Washington state, the government collected nearly $320 million in taxes and licensing fees from marijuana businesses in one recent year (after legalizing the drug in 2012), dissuading businesses from paying cash by relying on small banks and credit unions that have taken on the risk of a potential federal government crackdown. Our California cannabis attorneys in Los Angeles work with new entrepreneurs in the marijuana industry to help them navigate the complex financial hoops through which they’ll need to jump. Operating any business on a cash-only basis is risky and prone to accounting errors. We help our cannabis business clients at every stage with things like entity formation, structuring and financing, as well as regulatory investigations, internal partner disputes, real estate selling, leasing and development and high-stakes litigation. There is still no guarantee the newest bill will garner the support it needs. The Senate majority leader recently made it clear he is not in favor of the measure, which is currently being weighed by the Senate Banking Committee.